What Is “Subrogation” and How Does It Affect My Personal Injury Claim? If you are ever involved in a personal lawsuit involving a car accident or a similar event, you may come across a confusing term known as “subrogation.” This refers to the legal and contractual interest of a third party in any award you recover from the negligent defendant. Subrogation typically involves either your own insurance carrier or a government agency that pays for medical care on your behalf such as Tenncare. Here is how subrogation works. You are in a car accident caused by another negligent driver. Your medical expenses from the accident come to $25,000. You are fortunate enough to have health insurance that covers this entire amount. You later sue the negligent driver in court and win a $75,000 judgment. Your insurer then asserts its subrogation rights, meaning it is entitled to $25,000 of that $75,000 as reimbursement for the prior payment of your medical bills. As a result, you only get $50,000. In theory, subrogation prevents a person from “collecting twice” for the same injury. And while Tennessee enforces subrogation clauses in insurance contracts, other states do not. 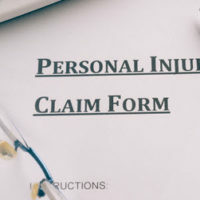 Missouri, for example, deems subrogation contrary to “public policy,” since it effectively assigns a victim’s rights to recover damages for personal injury to a third party. But even where state law may forbid or restrict subrogation, federal law might come to the aid of the insurance company. The U.S. Supreme Court recently dealt with just such a case. Here, a Missouri resident was injured in a car accident. The victim was a former employee of the federal government, and he continued to receive health insurance coverage under a group plan. Following his accident, the insurer paid for the victim’s medical expenses. When the victim then moved to sue the negligent driver alleged responsible for the accident, the insurer filed a “subrogation lien,” asserting its right to recover approximately $6,600 in medical expenses already paid. The victim paid the lien and then sued the insurer in state court, arguing that the lien itself was illegal under Missouri law. The Missouri Supreme Court ultimately ruled in his favor. But the U.S. Supreme Court reversed in favor of the insurer. While state law normally governs insurance contracts, including subrogation clauses, federal employees’ health coverage is subject to the Federal Employees Health Benefits Act of 1959. Briefly, this law authorizes the federal government to enter into contracts to cover its employees, and expressly supersedes any conflicting state laws relating to health insurance. Accordingly, the U.S. Supreme Court said the insurer in this case was entitled to enforce its subrogation rights, notwithstanding Missouri law. Do You Need Help Dealing With an Insurance Company? If you have been in a car accident, the last thing you want to deal with is understanding the fine print of your insurance policy. This is why you should speak with an experienced Tennessee personal injury lawyer who can make sure you are treated fairly and in accordance with the law. Contact the offices of Fox & Farley, Attorneys at Law, in Knoxville or Clinton if you need to speak with a lawyer as soon as possible.